One of the most complex jobs undertaken! 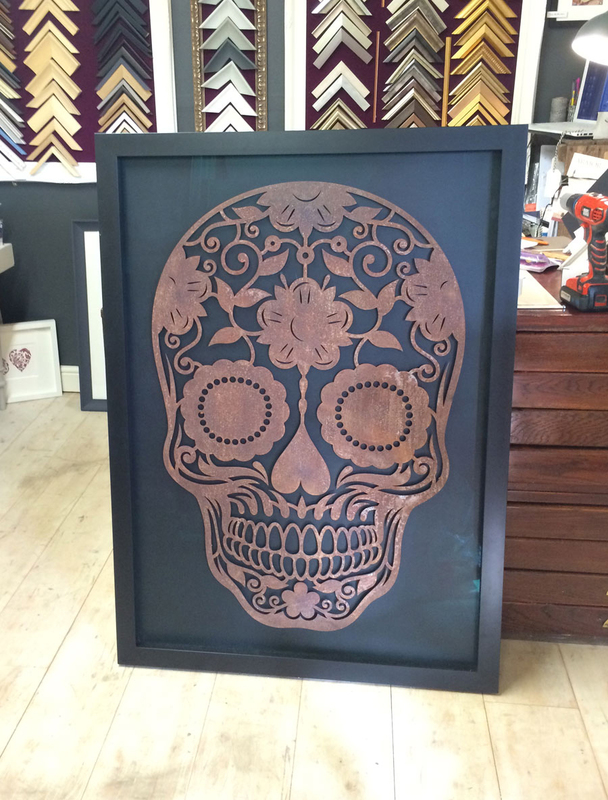 The skulls are made from 3mm, heavy laser cut steel. I had to have fixings welded on to the back to enable it to float in front of the backing. The frame had to be strong so I also used a sub frame, which would take the strain off the main frame.